In this hammock review, we cover everything you need to know to decide if this hammock is right for you. Also, be sure to check out our Top Ten Camping Hammocks. Everything is included for what you need to set up this hammock all for your one price. There is no need to purchase extras, as is the case for some of the other competitor hammocks. 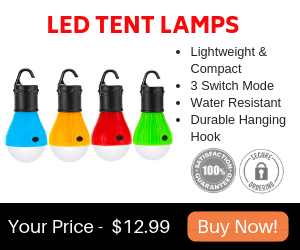 You will get your double hammock, two heavy duty steel carabiners, and two hammock tree straps that are 10 feet long each for a total of 20 feet including 16 attachment loops (32 total). As the name suggests, this is an extra large sized hammock. It is a double, so you can use it alone or sit in it with a friend. It can support 500 pounds. If you are a large person or average to small person that just likes extra room, this hammock may be for you. Two adults can sit in this hammock, though if you were to try to lay down together, it may get a little too close for comfort very quickly. But if two people were sitting up with their legs hanging out of the hammock, this hammock should be perfect. Make sure that total weight of both people does not exceed 500 pounds. The price is very low and outstanding compared to other double hammocks. This is a company that wants your business and is willing to lower their price to compete for it. Sometimes you sacrifice quality and the old saying of "you get what your pay for" applies. This is not the case for the Gold Armour XL Double Parachute Camping Hammock. It's a great price for a great hammock. The material is made from 210T nylon parachute fabric. The exact measurements of the material is 125 inches by 79 inches. The fabric is listed as rip stop. It should not snag nor rip on you. All seams are triple stitched to prevent tearing. One great advantage to this type of material is that it is breathable. In hot conditions a breeze will go right through it and cool you off. Keep in mind though that this same material may freeze you out if you don't put a camping mat under you on a cold night. Make sure to pack a thermal sleeping bag too for cold nights. This hammock does not have thermal capabilities nor do any of the parachute hammocks. The material is machine washable at the temperature set at cold. You can also spot wash it if you get it stained. Just take a cold and wet washcloth to spot wash it. You have 11 color choices to choose from with this hammock! Some of the double hammocks out there leave you with no choice or very little choices. 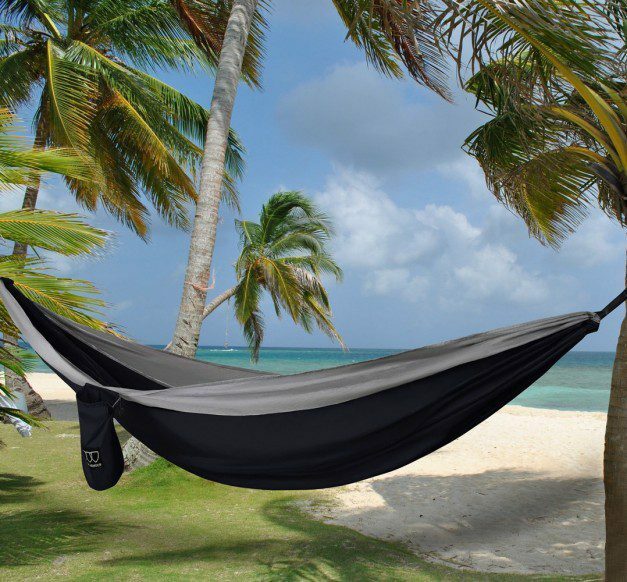 If choosing your own color is important to you, then this may be the double hammock you need. Your color choices are: Black and grey, blue and grey, fuchsia and pink, grey and sky blue, green and green, khaki and dark green, lime green and grey, military green and blue, orange and black, red and grey or sky blue and grey. The unique strap system has a breaking strength of 1000 pounds. This is twice as good as many of the hammock straps out there. As with most of the double hammocks, the stuff sack is sewn right on to the hammock. This is nice so that it never will be lost when you are ready to pack up and pack out. You also can store your cell phone or put snacks in the sack while you are using the hammock. The pack is larger than most double packs. When stuffed, the sack with the hammock is about the size of a soccer ball. A disadvantage to this larger sized sack is that if you are backpacking, you may not want a hammock sack this large. An advantage is that the hammock and set up stuffs in this bag rather easily. And remember, this is an extra large hammock, so you simply won't be able to stuff it into a tennis ball sized sack. You really need to decide what it is that you want in a double hammock. If it's compactness of the sack for carrying, then the Gold Armour XL Double Parachute Camping Hammock may not be for you. But if this is just a backyard or beach hammock and you don't mind the bulk, then this is a great deal. The set up is quick and easy. The hammock unfolds from the stuffed sack in just seconds. Because the sack is large, taking the hammock out and putting it in is very quick. The set up involves just hooking up the carabiners and straps to the hammock. From the reading reviews of people who used it, they overwhelmingly said how quick and easy this hammock was to set up. Total novices had no problem setting this up quickly. The guarantee with the Gold Armour XL Double Parachute Camping Hammock comes with a 15 year warranty. If you do not like your hammock for any reason at all you will get a complete refund. You also get to keep the hammock. There are no questions ask. This is a guarantee that you really can't go wrong with. For the price you are getting a great deal with this hammock. It is going to be larger for backpacking but if sack size is not an issue, I'd go for this deal. Here are some top questions that I found for people considering buying a Gold Armour XL Double Parachute Camping Hammock. Are the caribiners sharp? The Gold Armour XL Double Parachute Camping Hammock carabiners have no sharp edges. This is a good quality because sharp edges could cut the hammock. Can one small person use this hammock? Absolutely! Even a small child can use this hammock alone. If you like extra room then this XL double hammock may be just perfect for you. 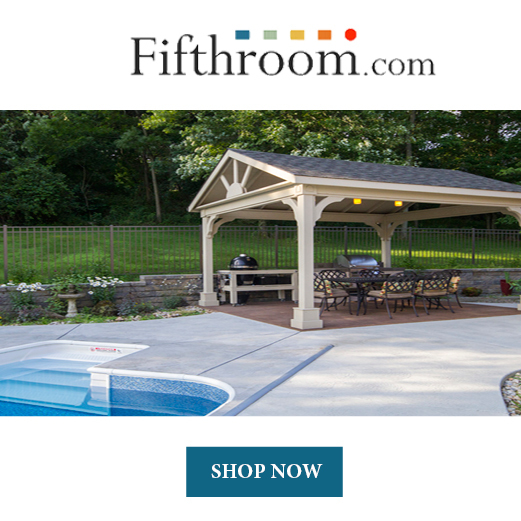 It is made to accommodate up to 500 pounds so anything less is great too. Do the colors run when the hammock gets wet? No. The colors are locked in will not bleed nor run when wet. If a large and bulky hammock bag doesn't bother you, this then the Gold Armour XL Double Parachute Camping Hammock might be a good choice for you. 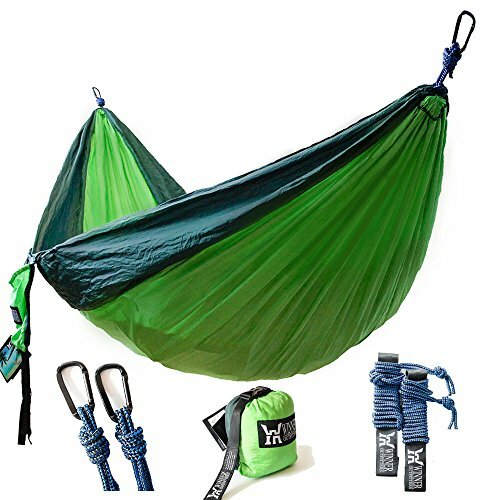 The size of this hammock might be tough for ultralight backpacking, but if this is just going to be a backyard or RV hammock, then size may not matter. The price is low in compared to other double hammocks. The weight load capacity is right about average for this size and type of hammock. If you are not needing a double hammock to hold more than 500 pounds then this hammock might be right for you. If color matters, then you are in luck with having 11 color choices to choose from with the Gold Armour XL Double Parachute Camping Hammock. Overall, this seems to be a well built hammock, with a history of satisfied customers who returned to buy more as gifts. A full money back guarantee comes with the hammock and no questions asked if you aren't completely satisfied. All things considered, I don't think you can go wrong with the Gold Armour XL Double Parachute Camping Hammock.